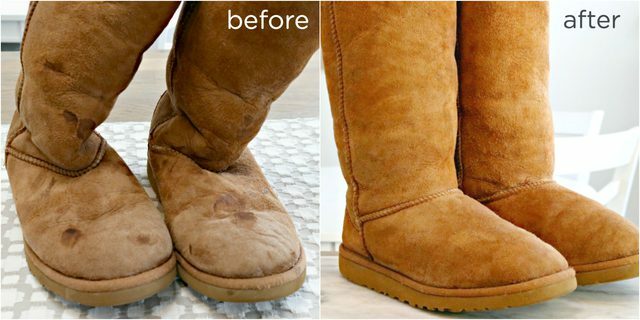 It can be tricky to clean Ugg boots and other sheepskin boots and shoes. 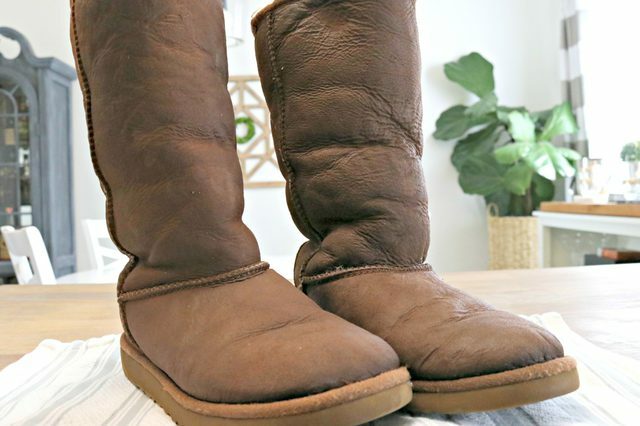 I’ve put together an easy tutorial on How to Clean Ugg Boots and other brands of sheepskin boots and shoes along with an easy to follow video showing how I cleaned mine! Last winter, we took a family trip to New York. It rained the entire time we were there. Kate and I had worn our Ugg boots so our feet would stay warm…we had no idea it was going to rain…we expected snow instead. Well, it rained buckets, and our Uggs got soaked. When we got home, we assumed that they were ruined. I couldn’t bring myself to throw them away, so I just put them in our garage. Well, it’s fall now, and time to break out all of our boots. I decided that I would see if I could get our boots to come clean, and I am so happy that I did! They came clean and are now ready to wear for another winter! 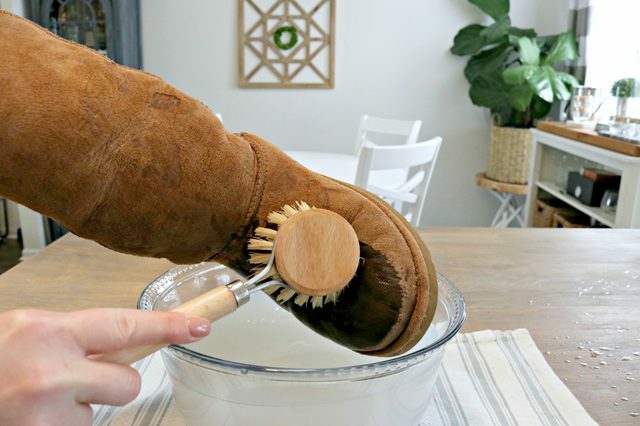 This method will work on all sheepskin boots and I even included a video tutorial at the end of this post! I hope it helps someone rescue their boots and save some money! 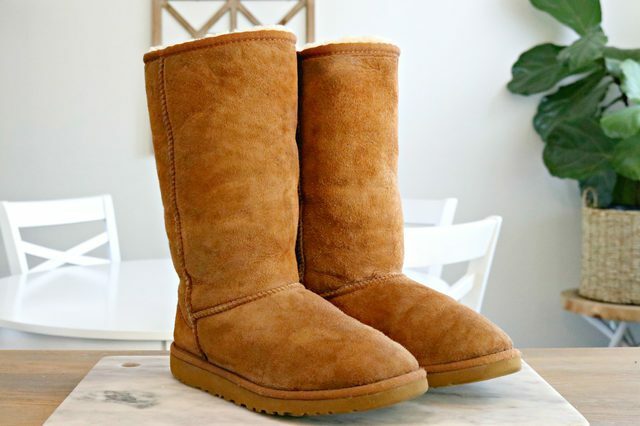 What do you need to clean Uggs? How do you clean Uggs? Here is what we started with…dirty, nasty, stained boots. They were kind of hard too. Not soft like they were before. Step 1 – Gently dry brush any dirt and debris off of your boots using a dry scrub brush. 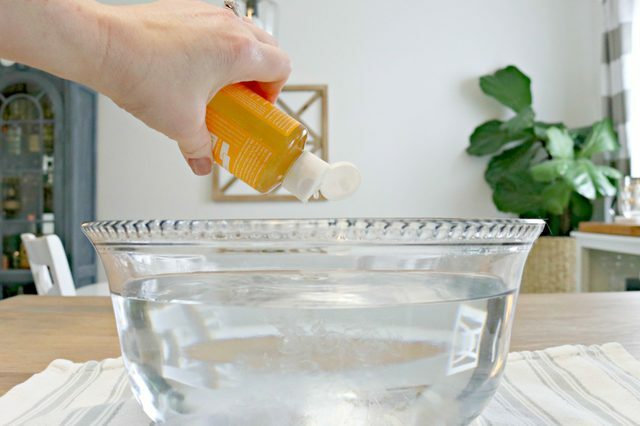 Step 2 – Add 2 tablespoons of Castile soap to a large bowl of cold water and mix well. Do not use hot water, because it will make the color of the sheepskin bleed more. Step 3 – Take a scrub brush and gently massage the water mixture into the boot. Some of the dye will come off in the water, but no worries…your boots will retain their color. Go ahead and lightly scrub the entire boot. Step 4 – Use a clean microfiber cloth to wipe down the clean boots. Step 5 – Allow your boots to dry overnight. Step 6 – Use a soft baby brush to brush the sheepskin in a downward motion. Your sheepskin boots should be clean and ready to wear for another cold, winter season! 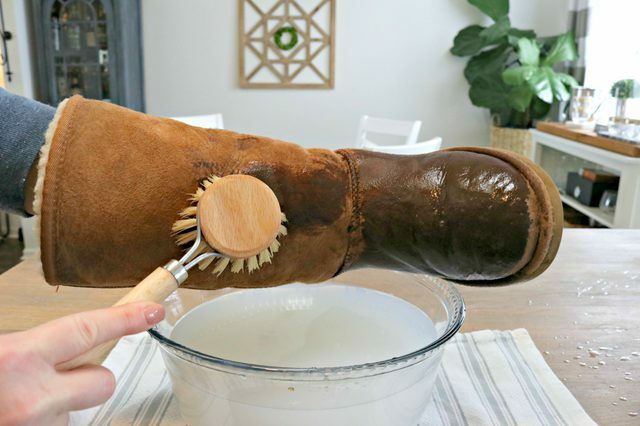 This method works great on all brands of sheepskin boots and shoes! If you loved this video, you can check out all of my Cleaning Videos HERE! 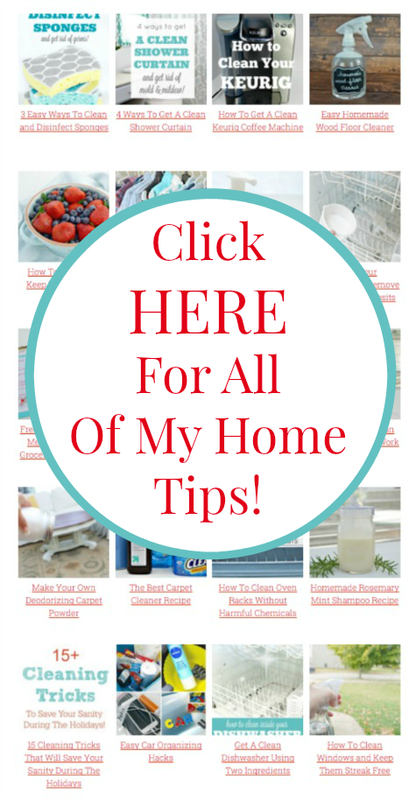 Also, be sure to check out all of my Cleaning Tips and Home Tricks HERE on my Home Tips Page!